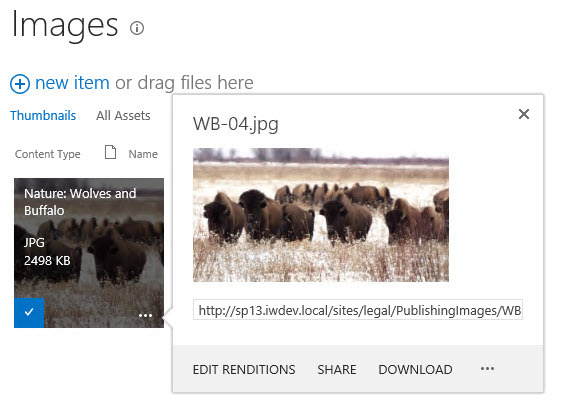 I was working with Image Renditions in Office 365 recently and switched to test something out on a SharePoint 2013 farm in our Dev Lab. When I checked the images in an Image library the Edit renditions option was missing. I checked all the immediately obvious things but I couldn’t figure out and didn’t have the time to dig further. Then today, whilst reviewing the Blob Cache configuration guidance I came across this statement in a TechNet article. For a publishing site that plans to use the image renditions feature, you must enable the BLOB cache.